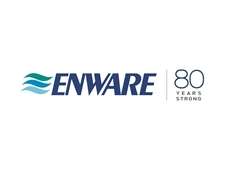 Sydney Water Corporation has selected Enware Australia as the first approved and accredited meter supplier for their new Multi-Level Individual Metering (MLIM) policy, effective from September this year. Enware has been approved to supply its accurate, reliable, user-friendly and cost-efficient ultrasonic electronic metering systems to developers of new multi-level strata buildings including apartments in the Sydney Water region, Greater Metropolitan Sydney, the Illawarra and the Blue Mountains. Serving more than 1.5 million customers, Sydney Water selected Enware’s technology to provide high data integrity and system reliability compared with conventional technologies such as reed switches or mechanical pulse technology, to avoid discrepancies between the volume recorded on the meter and the volume recorded through the data collection system. 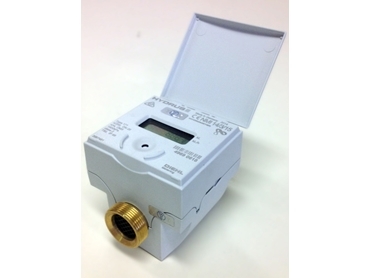 Wireless communication between the meter and the RDC data logger in Enware’s wireless metering systems enhances data integrity, which is critical to utilities seeking to use Advanced Metering Infrastructure (AMI) and Advanced Meter Reading (AMR) technology for billing purposes. Glen Hackfath, Business Development Manager – Hydrometer explains that the contract with Sydney Water is a landmark development for Enware and a step into the future for AMI technologies, which will be the way of the future not only for government authorities but also for individual owners and developers of residential, commercial, retail, industrial, health, education and infrastructure projects, including green star developments. Key benefits of Enware’s proven AMI/AMR technology used in the wireless ultrasonic meters include assurance of true and accurate data necessary for correct billing; avoidance of issues associated with untrue data, which will skew any plans for future development of infrastructure and consumption trends; prevention of tampering incidents otherwise possible with mechanical pulse switches through disconnection, poor connections, or magnetic field; and wireless communication overcoming any reliability issues associated with hard-wired systems arising from cables being damaged, disconnected or having poor connections. Enware’s wireless ultrasonic meters overcome all these issues by using a fully integrated unit with no external add-on components, providing secure and reliable connection between the logger and the meter by radio. The absence of repeater systems in Enware’s device reduces maintenance. Enware’s metering systems also provide leak detection and reverse flow counting, which assists in dealing with water theft and meter tampering. Enware wireless metering systems come with a 16-year meter life and assure revenue protection from the whole-of-life accuracy achieved by ultrasonic measuring technology.